Highly desired Ponderosa Cove! Two-story former model 4 beds plus a large loft/5th bedroom & 3 baths home full of natural light, perfect for family living and entertaining. Some of the fine features include picture windows, vaulted ceilings, new wall-to-wall carpeting throughout, grand staircase. The ideal floorplan includes an elegant living room, a formal dining room & a charming family room w/ gas fireplace open to the spacious gourmet kitchen w/ plenty of cabinetry, top of the line appliances, island & eat-in-kitchen. A bedroom & one full bath downstairs. Walk your way upstairs to find more bedrooms including the expansive master suite w/ a generous dressing area & a relaxing full bathroom w/ sunken tub and double sink vanity. There are 2 more full baths plus a spacious loft w/ book cases & built-in desk that can be converted into a 5th bedroom. Family-friendly neighborhood served by #1 Delaine Eastin Elementary. 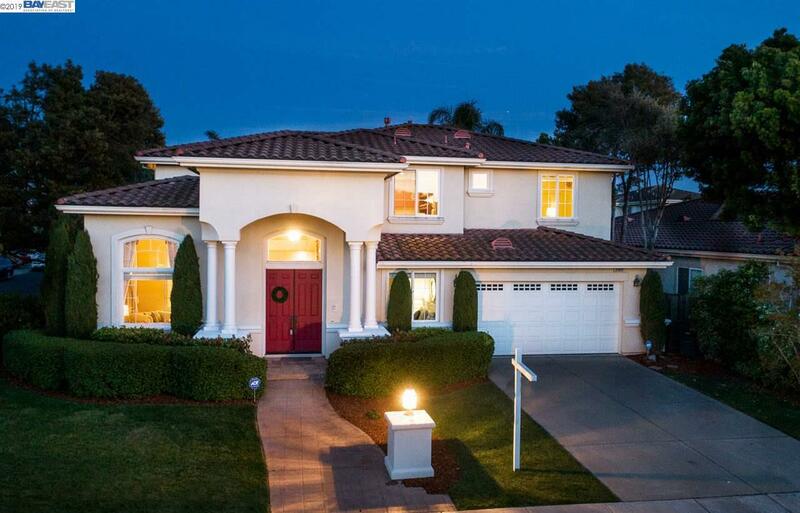 Easy commute access to 880, 84, Silicon Valley, Facebook & Google.